How to effectively set up and begin to use Airbnb and other brand new income streams to help landlords. Why be like the average struggling landlord who barely breaks even to pay the monthly mortgage? In this podcast episode we explore other great income streams along with the building blocks to becoming an Airbnb Landlord. Enjoy this weeks episode with Al Williamson. There is no reason for Landlords to struggle to meet monthly debt requirements. Pick a couple of the income streams presented, implement them and see how your results work out. Hospitality and short term stays are exploding and Airbnb may be the right way for you to head but it is very important that you know your local ordinances and do it right! Al Williamson is starting a landlord revolution to help them create more cash flow! There is no need to accept break even or a couple hundred bucks cash flow each month. Al is a Civil Engineer who has built bridges, but is now building new and improved income streams for Landlords! 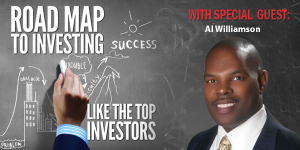 Al is from Sacramento, CA and he uses his math and science background to experiment and develop brand new ways for landlords to create additional income streams. Did you enjoy todays podcast? Please leave your comments below and leave us a review in I-tunes!